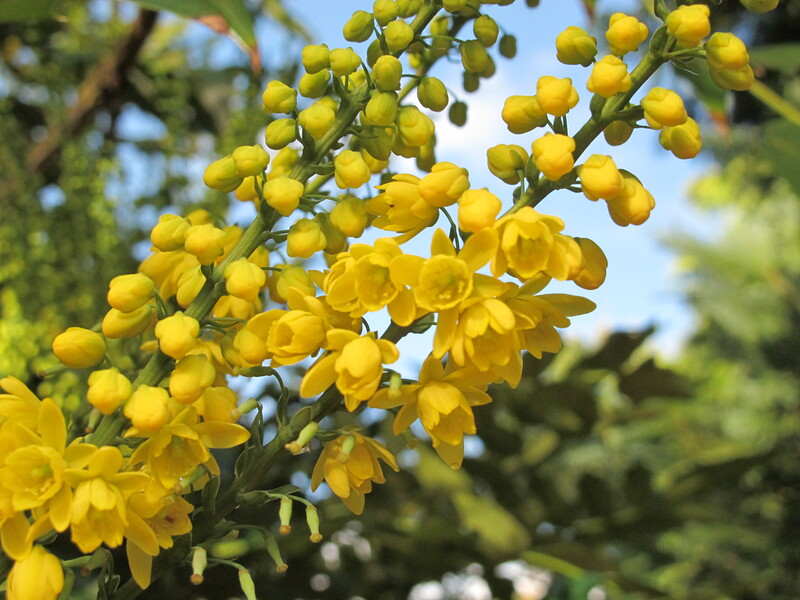 Many, many times over the summer I cursed our mahonia. It is at the back of the main border and whenever I ventured in there for weeding or deadheading, its prickly evergreen leaves seemed to make a grab for me. Early in the spring Steve and I spent a chilly afternoon giving it a hefty prune. We removed about a third of its tangled branches, chopping them down to ground level, and trimmed some of the longer stems back since most of the flowers had been way above our heads that winter. We were afraid we might have been too brutal. But we soon forgot about it as the season progressed and our attention was drawn to other areas of the garden. That chilly afternoon’s work seems to have paid off this month. We’ve been rewarded with fragrant bright yellow flowers bursting like fireworks in an otherwise lacklustre corner. 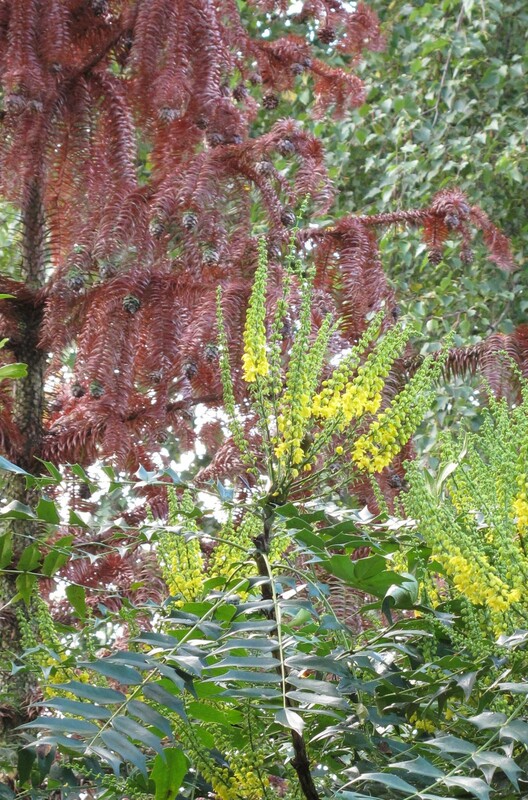 I’ve been looking at mahonia on the RHS website. 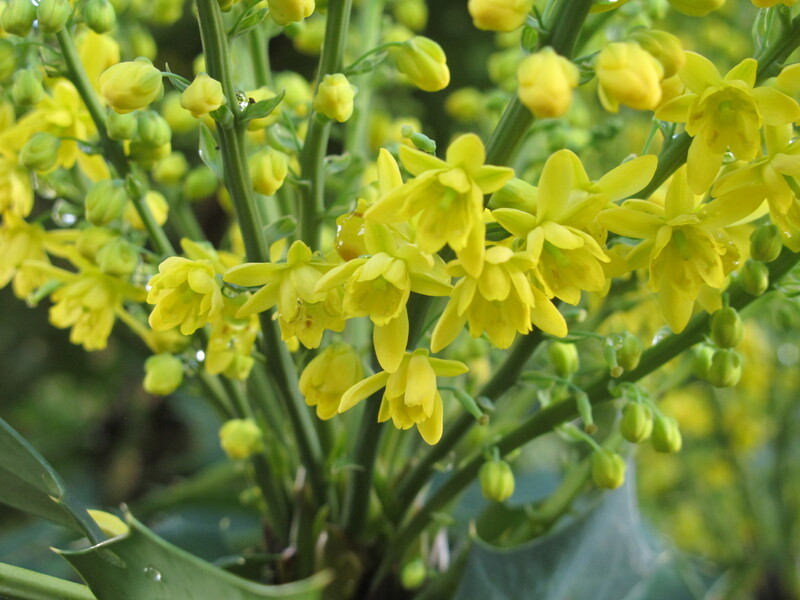 Those long clusters of flowers are called racemes and there is a whole list of varieties, from winter sun to undulata. I have no idea if ours is winter sun, but it seems an appropriate name. 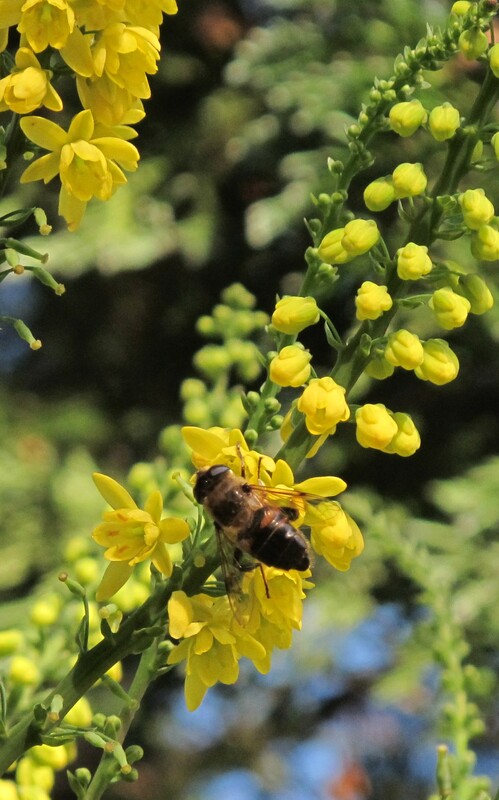 Another name for mahonia is oregon grape, because of the purplish berries that follow the flowers. Apparently they are edible and rich in vitamin C – just what we’ll need once they ripen in January.